We have hose for Everybody's toes! 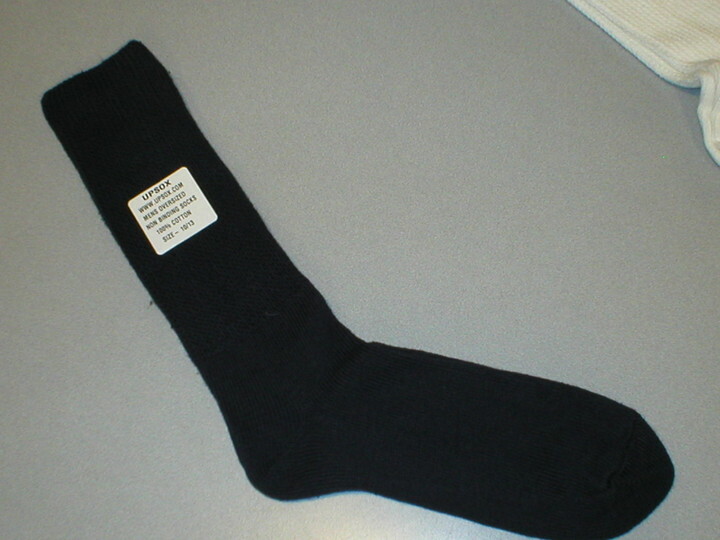 We sell in bulk to save you a lot of money on your family sock needs. We carry many items, please email us for any additional information you would like to know. Not everything we carry is listed, we also carry basic socks, like tubes crews, quarter tops and low cuts socks for men women and children. Also available are striped tube socks and support socks for both men and women to name a few other items we carry. Call for pricing, you will be surprised how inexpensive our socks can be. I am currently rebuilding our site. These are fine gauge one by one knit made in USA arm and leg warmers. There are many colors available. Order in dozens only. 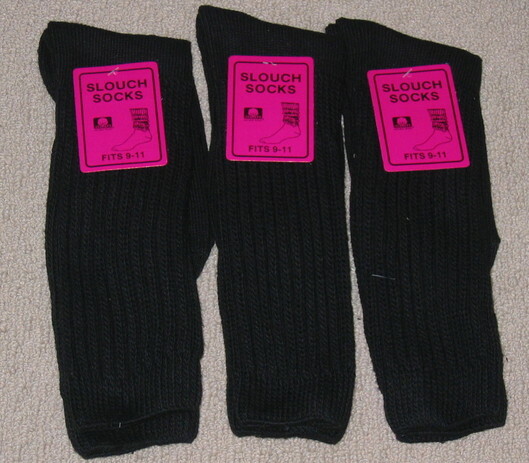 These are heavy ribbed made in USA slouch socks, flat knit foot and long. Many colors available, order in dozens. 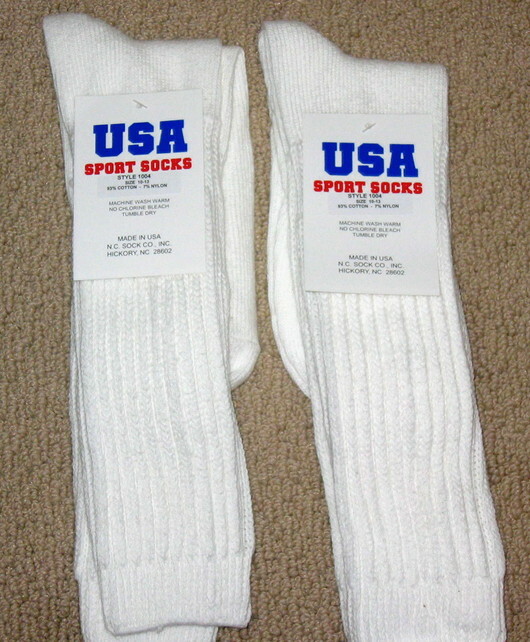 These are Men's size slouch socks, made in USA. Available in White or Black. Order in dozens. These are great Diabetic or swollen foot socks. Made in the USA. These are made longer than most, so they stay up better. 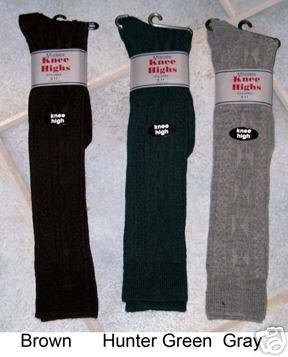 These socks have a loose fit on your leg with an oversized flat knit foot so it fits in your shoes better. Available in Black and White in both Men's, and Ladies. King size by request. Order by the dozens @ $60.00 a dozen freight included, or 13.99 for 2 pair includes shipping mix and match with other socks or leg warmers. These are Cable knit knee high socks, the old school girl look. Available in many colors. Made in USA. Size to fit ladies sock size 9/11. Order in dozens.